With deep sadness, the parents of Justin Wilson, Keith and Lynne, his wife Julia, and his brother Stefan share the news that Justin passed away Monday, August 24, 2015 after succumbing to injuries suffered during the Verizon IndyCar event at Pocono Raceway on Sunday, August 23. Race car driver Justin Wilson, who enjoyed success in multiple motorsports series (F1, ChampCar, Indycar, IMSA) during a two-decade professional career, died from a head injury sustained in the Verizon IndyCar Series ABC Supply 500 race Aug. 23 at Pocono Raceway. He was 37. “To say that we are heartbroken over the loss of Justin Wilson would create the false impression that our pain is localized. At a time earlier in the season, when we were in a continuing struggle to remain competitive in the Verizon IndyCar Series, Justin was the guy who WANTED to be with Honda, and he demonstrated that time and again. That allows you to take the measure of the man, and we will be forever grateful for his loyalty, and the gracious and gentlemanly way he represented our company, on and off the race track. He was our friend, and our comrade. Statement from race team Andretti Autosport - He was a tremendous racer, a valuable member of the team and respected representative to our sport. While Justin was only part of the Andretti lineup for a short time, it only took a second for him to forever become part of the Andretti family. His life and racing career is a story of class and passion surpassed by none. Our thoughts and prayers remain with the Wilson family and fans worldwide. Motorsports Journal - So brutally sad to hear about the passing of race car driver, engineer, and great friend to most all he met ... Justin Wilson. May peace surround the fans, friends, & family Justin leaves behind. 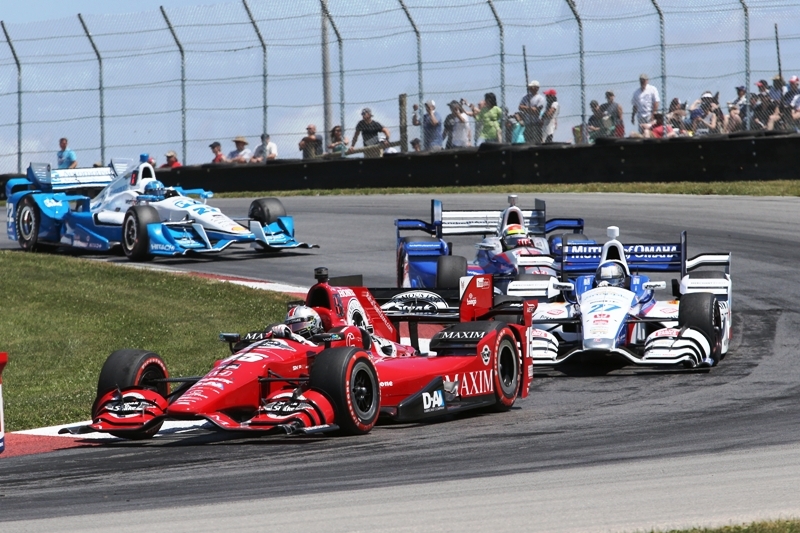 Video from still photography from two races run in 2014 Verizon IndyCar Series. The Toyota Grand Prix of Long Beach and the MAVTv500 at Auto Club Speedway in Fontana, California. To be able to race on an oval ... a record holding super-speedway oval ... will have to remain a dream for many who follow American open-wheel racing at its highest professional level for "who knows how long" since it was announced by INDYCAR August 14, 2015. Open-wheel racing, Indy Car style, was a major factor in Roger Penske’s decision to convert a toxic Kaiser Steel mill site into a state-of-the-art race track in 1993. Once California Speedway opened in 1997, it was the home to some great races. Now known as Auto Club Speedway, the 2-mile D-shaped oval was the venue for one of the greatest Indy Car events as Graham Rahal was the last of the 80 lead changes and won the MAVTV 500 on June 27. It’s a memory that will have to endure for some time. After a four-year run at the facility, IndyCar announced Friday that Fontana will not be on the 2016 schedule. ACS and the sanctioning body had been engaged in negotiations for more than a year concerning the 2016 date but were unable to agree on a date or other issues, including a lesser sanctioning fee. At issue was the date and Fontana’s position on the schedule. Allen, who took over as president late last year, was adamant in seeking a date in late September or October and being the Verizon IndyCar Series season finale. 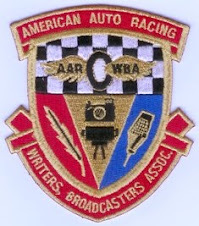 From 2012 through 2014, ACS was the final race, but its 2015 date was moved to June when the sanctioning body opted to finish its season before the start of the NFL season. In its four-year association with IndyCar, ACS had to endure four different dates. The initial race in 2012 was on Sept. 15 and drew a totally unexpected crowd of 30,000. A year later, attendance increased by a third for the Oct. 19 race. But the crowd was sliced nearly in half for the Aug. 30 Saturday night race on Labor Day weekend, which ended after midnight on the East Coast. This year’s race attracted a crowd that was estimated anywhere from 10,000 to 20,000. The latter estimate was more accurate and would rank in the top half of this season’s crowds. According to several sources within the industry who were unauthorized to speak officially, the track suffered a financial loss in June of about $500,000. The same sources also disclosed IndyCar charged a sanctioning fee of around $2 million. The decision will deprive Southern California race fans from viewing two different IndyCar races. 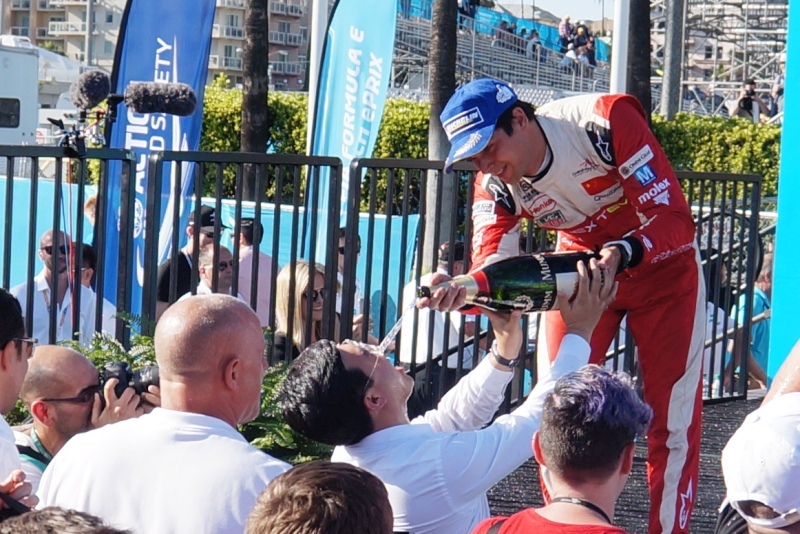 The Toyota Grand Prix of Long Beach has been a staple of the series in April over the city streets. At ACS, the same cars ran wide open and on Oct, 28, 2000, Gil de Ferran set the world’s record with a qualifying lap of 241.428 mph driving for Penske. In 2007, under the Indy Racing League banner, Sam Hornish Jr. won the 400-mile race at an average speed of 207.151, the first race in the country at more than 200 mph, a record that still stands. There have been 14 Indy Car races at Fontana. Six were CART-sanctioned races and four each under Indy Racing League and IndyCar direction. Jimmy Vasser won two of the CART races, Hornish two IRL events and Adrian Fernandez one for CART and IRL. With ACS falling off the schedule, IndyCar shows six ovals on its schedule. However, both Milwaukee and Pocono may also be missing in 2016. No promoter has been named at Milwaukee, and Pocono officials said the future will be dictated by the success of next week’s 500-mile race. In addition, New Orleans is not expected to return. However, races at Road America and Boston have been added to the 2016 schedule. There are also reports the sanctioning body will rent Phoenix International Raceway for a race in 2016, two weeks ahead of the Long Beach event. @TheEDJE ACS got screwed. They were polite to have IndyCar back 4 straight years at 4 different dates. And this year was run under a $2 million sanctioning fee with the worst change of all - no season finale and no afternoon to evening hours racing! Many wish to blame former 'Tennis Guru', Chief Executive Officer, Hulman & Company since 2012, Mark Miles for the demise of oval racing off of the schedule - see For The Love Of INDY by Raymond Hando. 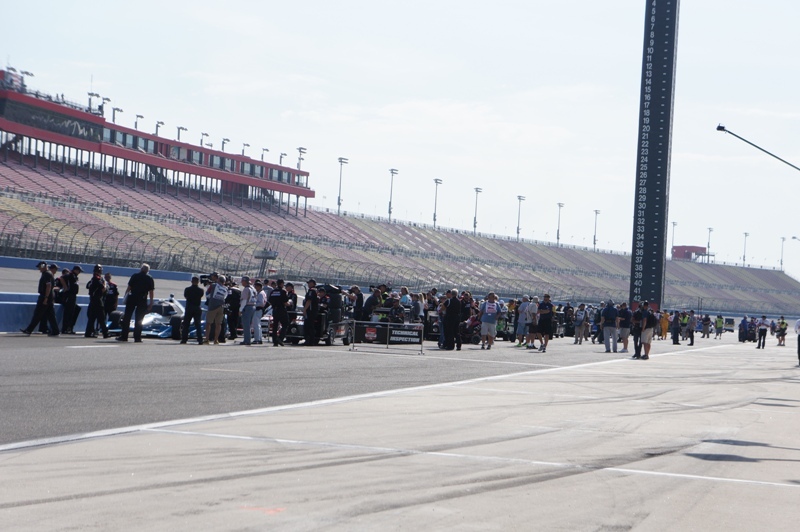 Others have the attitude that Mark Miles treatment in scheduling - NO Pro Football season races and moving ACS dates - is the blame for Auto Club Speedway being off the schedule. Lastly, an agreement that did not recognize East Coast daypart live television scheduling and late afternoon heat conspired to have Auto Club Speedway hit the dust off of the 2016 schedule - see Disciple of INDYCAR. Evidence suggests that Mark Miles is not the real culprit because Mark Miles is a weak Motor Culture leader. The real culprit in this demise of Auto Club Speedway being retained on the schedule for 2016 and beyond comes directly down on the Hulman & Company which owns, among other things, the Verizon IndyCar Series, Indianapolis Motor Speedway, Clabber Girl Corporation, and the Mark Miles contract. Hulman & Company probably also owns many assets that involve themselves with the NFL Indianapolis Colts Pro Football franchise. One such issue of contention follows. From 1999 to 2009, a college - Rose-Hulman Institute of Technology in Terre Haute - that the Hulman family is heavily vested ... name and all ... was the site for the Indianapolis Colts Training Camp ... over $20 million was raised and were invested into facilities in an attempt to keep the Colts happy and training there. Anderson College won the transfer of Colts Training Camp largely through the efforts of Art Pepelea, an Anderson city councilman, who created a group that had been trying to draw the Colts back to Anderson, IN since he took office in 2003. "We're excited about the facility, we're excited to be back in Anderson, we're excited that many of our fans who live nearby can come and watch the team," Polian said. Polian and Ockomon agreed that the location, 45 miles from downtown Indianapolis, helped (the Rose-Hulman Institute of Technology is 78 miles). They also cited the population base surrounding the town of Anderson and the upgraded facilities were factors that made Anderson a prime location. "We're glad to take the reins from Terre Haute," Ockomon said. "We hope to have the same success that they enjoyed over the past several years." ENTER Mark Miles as CEO of Hulman & Company in 2012. Hulman & Company is composed of Clabber Girl, Georgetown Realty, Indianapolis Motor Speedway, INDYCAR, IMS Productions and various other business entities (one assumes an operational interest in Rose-Hulman Institute of Technology as well). Miles brings an impressive blend of experience from all phases of his career to his new role. In the sports world, he transformed the ATP, governing body of men's international professional tennis, from a start-up league to an international leader. During his 15-year tenure from 1990-2005, the ATP posted impressive revenue gains, launched innovative marketing initiatives and expanded its global presence through successful events in Asia, the Middle East and Latin America. Bookending Miles' career are two major sports entertainment events which he successfully and profitably led: the Pan America Games in 1987 and ... the Super Bowl in 2012, a 10-day event that attracted more than a million fans and set a new standard for the NFL. His most recent business career includes six years leading the Central Indiana Corporate Partnership, Inc. (CICP), a consortium of the leading companies in Central Indiana working with the premiere university research institutions to strategically develop economic growth in the region. During this same period, Miles has served on the board of The Pantry, one of the largest independently operated convenience store chains the country, with more than 1,500 stores in 13 states and annual revenues exceeding $6 billion. He is also a director for City Securities, a diversified financial services corporation based in Indianapolis. Earlier in his career, Miles was executive director of corporate relations for Eli Lilly and Company, responsible for the company's local, state and national government affairs, communications and foundation. Miles is a graduate of Wabash College and a member of its Athletic Hall of Fame. The net understanding of all of this background is this - The Hulman/George family of enterprises ARE the sum of all parts ... in other words, owning a race track, having interests in the bragging rights and welfare of a fund raising entity by the name of the Rose-Hulman Institute of Technology, owning a $16 million annual revenue food products company based in Terre-Haute, Umbrella corporation based in Terre-Haute, real estate interests, and etc. may not necessarily be compatible with the focused interests of putting on, and managing a competitive professional motorsports racing series. Losing Auto Club Speedway from the 2016 schedule is just a symptom of what is wrong with American open-wheel racing and its management. The number one item that is limiting the Verizon IndyCar Series to expand and seek new opportunities is the Hulman & Company itself and its described framework and adherence to clearing the field (as it were) for NFL Professional Football. What does this have to do with motor culture and putting on a competitive racing series of the highest professional order? Is there a demographic studies component tied to this unusual non-compete stance or are we witnessing a 'management in decline' culture creeping into this country club style (the re-hiring of Brian Barnhart as example) of business stewardship? The second largest item limiting the Verizon IndyCar Series to expand and seek new opportunities is the overall drive to protect the one oval race that matters exclusively to the Hulman & Company board of directors ... the Indianapolis 500 held at the Indianapolis Motor Speedway. All other potentially exciting large oval venues are treated as if they are to be shunned. There are additional rumors that the tri-oval superspeedway at Pocono (next weeks penultimate 2015 season race) may not make the 2016 season schedule either. And lastly, having a CEO that answers to the above interests as well as oversee the additional and varied philanthropic and corporate interests that make up the Hulman & Company umbrella of interests and enterprises can not help with the template of thinking behind the making of a healthy competitive racing series of the highest professional order. Not much that make up the largess of the Hulman & Company is relate-able to the overall understanding of race car drivers, race team owners, individual interests of racing venue cities and facilities, sponsorship based upon consistency, and etc. when all of the thinking comes from the small-town of Terre-Haute and Speedway, Indiana. 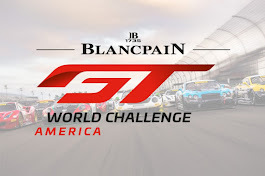 In fact, an argument can be made that more conflicting interests are at play than the interests needed to guide a competitive racing series of the highest professional order. This is not Mark Miles' fault. He is just the figurehead tool of an enterprise that can not, and will not, allow the interests of a healthy competitive racing series of the highest professional order be JOB ONE against all of the other interests that are Hulman & Company. Let's mention that the variation of racing environments (superspeedway ovals - plural | bull-ring ovals - banked or flat | dedicated road courses | temporary street courses) in American open-wheel racing is still a cut above almost anything else upon which to judge a race driving championship and champion driver. Until then, our California Dreamin' will have to concern itself with the last race of the season at Sonoma Raceway (GoPro Grand Prix of Sonoma - August 30, 4:00pm ET - NBCSN - Sonoma, CA), where one of the worst managed (a season that begins with a canceled international race in Brazil, introduces new aerodynamic body parts without testing, and the unilateral resignation of Derrick Walker from Race Control by Committee), yet most exciting and competitive on-track professional open-wheel racing displays will come to, and end ... and where a deserving champion will be crowned for 2015. Many racing series are in play for people who wish to develop their skills as a competitive driver but none have the promise of transition that is infused within American open-wheel racing's Mazda Road To INDY program (USF2000, Pro Mazda, and IndyLights). According to Rule 6.2.3 of the 2015 Verizon IndyCar Series rulebook, teams are allocated two additional team test days in the testing year window for the purpose of testing a current IndyLights driver. On-track time may be split with a team driver (one IndyLights driver and one team driver), but a team driver may not use more than 50 percent of the available track time. Seven IndyLights Presented by Cooper Tires drivers, including the top three in the championship standings, will share a test day in Verizon IndyCar Series cars with Verizon IndyCar Series drivers Aug. 13 on the 2.385-mile, 12-turn Sonoma Raceway road course in Sonoma, Calif.
Brabham drove an Andretti Autosport Indy car July 1 at an Iowa Speedway test alongside Andretti, and other IndyLights drivers periodically test in a Verizon IndyCar Series car. But this is the first large-scale in-season test day. 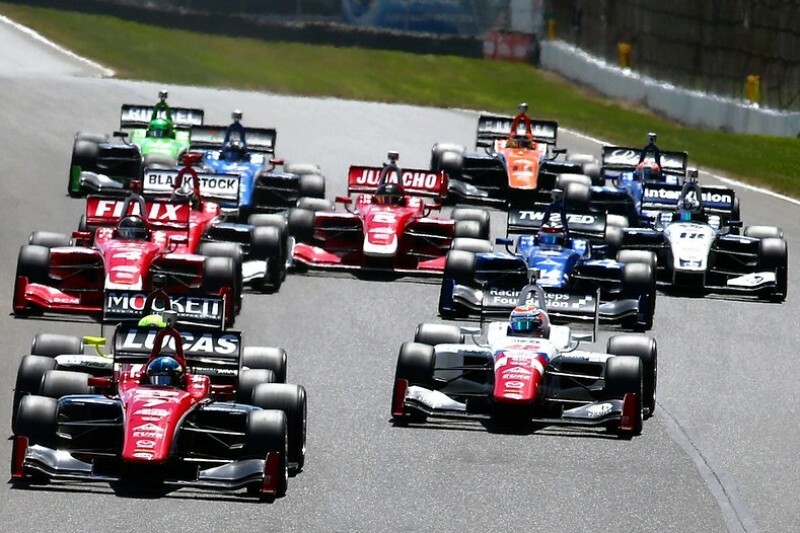 "This is exactly what we've wanted to have happen with the program," said Dan Andersen, owner and CEO of Andersen Promotions, which operates IndyLights under INDYCAR sanctioning. "We appreciate INDYCAR enabling this with its testing regulations and to encourage it. To see these drivers getting this opportunity is rewarding for them and exciting for us. It's what the program is all about; we want to see them make it to the Verizon IndyCar Series." 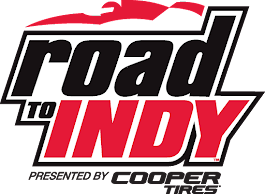 Indy Lights is the third and final step on the Mazda Road to Indy driver and team development ladder. The IndyLights champion is awarded a $750,000 scholarship toward the Verizon IndyCar Series with three guaranteed races, including the Indianapolis 500, in 2016. Harvey, who drives for Schmidt Peterson Motorsports, takes a six-point lead over Pigot (Juncos Racing) and an 18-point lead over Jones (Carlin) into the championship-deciding doubleheader race weekend Sept. 11-13 at Mazda Raceway Laguna Seca in Monterey, Calif.
"The test could be valuable for next year," said Harvey, the Englishman in his second season with SPM. "I could show (a Verizon IndyCar Series team) that they could trust me with their car, I can be fast and provide the proper feedback." Added Pigot, 21, of Orlando, Fla., who won the 2014 Pro Mazda Presented by Cooper Tires championship: "It's something that I've been working toward for quite a few years and climbing the Mazda Road to Indy has prepared me for it. I'm excited to get behind the wheel. Winning the IndyLights championship is the No. 1 goal through the middle of September, and obviously the goal is to move up to IndyCar next year. This (test) could help my chances for next year." Sam Schmidt, who co-owns the team that operates a four-car IndyLights program and a two-car Verizon IndyCar Series program, said the goals of the test day are to make the No. 5 Indy car driven by Briscoe competitive for the Aug. 30 GoPro Grand Prix of Sonoma to keep it in the top 10 of entrant points and give Harvey "a taste" of driving the Honda-powered machine. "We're hoping he (Harvey) can win the championship, which would lead to the scholarship and moving up next year in some capacity," said Schmidt, who has seven IndyLights championships as a team owner. "It's always good to start that process as early as possible. "It's one of the incentives that INDYCAR built into the program and hopefully it will expand with other IndyCar teams." THE MODERATOR: Welcome, everyone, to today's INDYCAR media teleconference. We're pleased to be joined today by Dan Andersen, the owner and CEO of Andersen Promotions, which oversees the Mazda Road to Indy, and two of the championship contenders from the Indy Lights Presented by Cooper Tires, Jack Harvey of Schmidt Peterson Motorsports and Spencer Pigot of Juncos Racing. Gentlemen, welcome to today's call. Dan, it's been a great year for all three Mazda Road to Indy series with exciting races in the Cooper Tires USF2000, and the Pro Mazda Championship Presented by Cooper Tires, as well as the Indy Lights. We see young racers who aim to join the Verizon IndyCar Series in the future. From your perspective, how has the 2015 season been for the Mazda Road to Indy? DAN ANDERSEN: As always, the young talented drivers we have put on a great show. I don't know how many people on the call have observed our races. Hopefully all of them. But they put on a great show. The training is pretty deep, not just what we try to provide as a series, but the training that they obtain by racing each other. The best young drivers are here. If you're going to get better, you have to race against the best. If you're running at the front of one of these series, you're doing a good job. They've, again, proved that with the racing they put on this year. We're pretty satisfied with that. THE MODERATOR: Obviously the goal of the Mazda Road to Indy is to move the drivers up the ranks. Next week some of the drivers from Indy Lights have a chance to sample IndyCars for the first time, joining the Verizon IndyCar Series for a test day. DAN ANDERSEN: Yeah, it's pretty exciting. It's one of the things that we all wanted to do. Our series has partners with Mazda and Cooper. Andersen Promotions, Mazda and Cooper, this is what we're all about. We're all about training the young kids and getting them ready for an IndyCar seat eventually. This is the culmination of that. Seven drivers, I believe, are on tap next week. They'll get their laps. They'll get the exposure from this, the experience from this. Hopefully they'll demonstrate the training that they've learned and they'll convince these IndyCar teams to give them a shot. That's our whole reason for being. It is what we're all about at the Mazda Road to Indy. Exciting week for us next week. THE MODERATOR: We are joined by two of the drivers who will be at Sonoma next week. They happen to be the two point leaders in IndyLights. Jack Harvey drives the No. 42 car for Schmidt Peterson Motorsports, and he leads the championship by six points over Spencer Pigot. Jack, you have to be excited about the chance to get into an IndyCar next week and share SPM's Honda with Ryan Briscoe. JACK HARVEY: Yeah. 'Excitement' is an understatement for everyone going into the test. The opportunity we've been given from Dan and everybody involved that's on the Mazda Road to Indy program and IndyCar, it's what I've been working for since I was nine years old in go-karts. More than excited. I don't really have the words to explain just how much I'm looking forward to it. I think Dan summed it up pretty well a second ago. We're all trying to give a good account, show why we should be on the IndyCar grid next year, and hopefully I will be, hopefully Spencer will be. I think we've had some good races this year. I think that's the level of driver that we get in Indy Lights, across the whole Mazda Road to Indy program. Could be an invaluable test. Hopefully it's the start of a new chapter for all the guys who are going to it next week. THE MODERATOR: Spencer, you're actually from Florida, so a young American. You'll be joining one of the best teams in all of motorsports in Team Penske, have a chance to help Juan Pablo Montoya and Will Power as the seek to win the Verizon IndyCar Series championship. How did the opportunity to drive for that team come about? SPENCER PIGOT: Like Jack said, just very excited to be a part of it, one of the drivers that was chosen. It came about really, I got a phone call from Tim Cindric. I've known Tim for a few years now from when his son was racing USF2000, got a very surprise phone call if I'd be interested in driving one of their IndyCars. Obviously I was very surprised and almost speechless when he called. I said, Absolutely, I would love to. Yeah, very surprised this test has come about, but also very excited and can't wait to get behind an IndyCar for the first time. THE MODERATOR: We'll take questions for our guests. Q. Spencer and Jack, talk a little bit about looking up on your way up. Do you get any inspiration from Sage Karam? What do you feel like you learn most from the IndyCar veterans that are in IndyCar? SPENCER PIGOT: Yeah, for me I've definitely been watching IndyCar racing ever since I can remember, have always had my favorite drivers and ones I look up to. As I've gotten closer and closer to IndyCar, there's definitely some guys that you really watch. 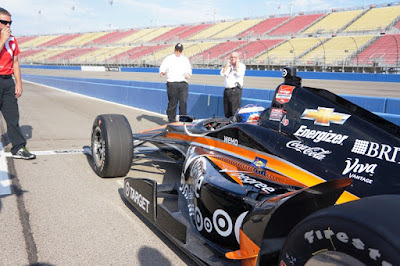 Year after year they're always at the front, Scott Dixon, Will Power, they're always winning races. It's something as young drivers, it's what we want to do. We want to be in the Verizon IndyCar Series for many years and be competitive and win races and championships. So for me climbing up the Mazda Road to Indy, definitely always been looking up to guys like that to hopefully race against and have similar careers that they've had. JACK HARVEY: Well, I think the interesting thing is if we use Gabby Chaves as an example. We raced all last season. We drew on points last season. I think the main thing he was able to progress from Indy Lights into IndyCar. That's where we're all lucky at the Mazda Road to Indy program: if you can keep winning, making the step, whatever that step is, is actually possible. Think that's the biggest thing drivers can ask for at the moment. I think that's the main point. All you're looking for as a driver, if you can go out and do the job on track, you just get the opportunity to progress. I think we're all pretty lucky at the moment that it seems like it's a genuine possibility to do that. I think Gabby is a guy I look at and would like to try and follow what he's done in this off-season by following the natural order of things and just stepping up into IndyCar. I think people like Josef, people like Sage, they've all done it. Whatever happens, I'd like to see the champion of Indy Lights continue to progress. I think Dan and everybody at Mazda, everybody at IndyCar have given us a great opportunity to do that. I feel like it's certainly a possibility. Q. Do you feel mostly you have to learn it on your own or does some of that help really give you a kick? You really can't get it from anybody else? JACK HARVEY: Well, the thing is that the drivers are quite open a little bit, and they're happy to help you, but not enough where they're giving away all their secrets. Ultimately they don't want you to beat them. The thing about racing, it's a really unique sport where, yes, it's a team sport, you have the team, but it's also an individual sport in many ways where the driver is the guy who sometimes is accountable. I think it strikes that balance between having to learn on your own but also having the ability to pool experience and resource from other people. For sure, some of it is self learning, just experiencing something, if it's good, doing it again, if it's not good, trying something different. Then actually being able to speak to people that have done it before so you don't make the same mistake. I think there's probably a healthy balance there. SPENCER PIGOT: I think there's people out there that you form relationships with. For me it's Josef Newgarden has been kind of a role model for me, being part of the Rising Star Racing program has been good. I can always bounce ideas off him getting advice on different tracks, different corners. You're always going to get a little bit of help, like Jack said, from those guys. At the end of the day they all know we're all gunning for IndyCar seats and we're going to be hopefully competing against them one day so they can't let all their tricks out. Q. Jack and Spencer, you have been in championship battles going into the last race of the season before. What can you take from being in those that you can transfer going into Mazda Raceway in a few weeks? SPENCER PIGOT: You're leading the championship, so why don't you go first (laughter). JACK HARVEY: I've been lucky up to this point, whether it's been in go-kart, single-seater cars, I've been fighting for championships basically since I started racing. This year in many ways there's nothing particularly new. I think what you take from the experience is the highs and the lows and just keep continuing to work on them. We obviously saw Mid-Ohio was a tough weekend, but we still came out leading. Those are the main points. Looking in that regard, the team has won multiple championships, they've been battling to win the championship since Indy Lights started. I feel like there's a lot of knowledge and experience for me to bring to the table, but also they're bringing to the table themselves. I think not panicking, staying focused and relaxed. What was good enough last week isn't going to be good enough next week. Continuing to raise the bar all the way to the end of the year is going to be key and essential. So I think a lot of my experience before, knowing what to do, knowing what not to do, is going to come in handy because I've had a lot of experience in this situation. SPENCER PIGOT: Yeah, I think when you get to this level, you're racing Indy Lights, there's guys from all over the world racing against you. A lot of them have won championships in many different categories. Like Jack said, I've been in the position to fight for championships for quite a few years now in karting and up through the ranks, through the Mazda Road to Indy. Sometimes it works out for you, sometimes it doesn't. Every season's different. You're racing against different guys. The tracks are different, the cars are different. It's hard to really compare two seasons to each other. In this situation I know to just stay calm and focus on the job at hand, not really worry about anyone else, but the team and I are going to go into the weekend focusing on us and how we can get the most out of the car and the most out of my driving. We'll just let the results kind of go from there. I think if we're very quick in practice, we unload well, we'll have a real shot at winning it. That was always the goal coming into this year, to have a good shot at winning the championship at Mazda Raceway. We achieved that first goal, so now we're going to go out and do our best when we get to the track. Whatever happens happens. Nonetheless, it's been a great season. I've learnt a lot. Looking forward to one last challenge. Q. Dan, I understand that seven Indy Lights drivers will be testing. Will they also be driving at Sonoma in the race? DAN ANDERSEN: They'll be driving in the Indy Lights race, most of them. Matthew Brabham is testing with Andretti, and he at this point does not have an entry at Mazda Raceway. I think Ryan Phinny and Nelson Piquet, Jr., are also drivers that have driven at Indy Lights but do not have current entries into the race. I believe the other four are all entered into the race. Q. Maybe I'm getting confused. Are any of them going to be driving in the season finale in Sonoma for IndyCar? DAN ANDERSEN: Not as far as I know, no. Maybe Spencer and Jack can comment on that. I'm not aware of those arrangements, no. Q. Your name has come up as a potential replacement for Derrick Walker, given his resignation. Have you given any thought to a direction like that? I know your plate is rather full running three series. Is this something that has been kicked around in discussions with you? DAN ANDERSEN: I'm flattered that my name would even come up. No, my plate is full. I actually admire the job Derrick Walker has done. He's worked very well for us. As for Dan Andersen, no, I think I've got quite a bit going on. I'm not sure I would be the right guy for the job anyway. I'm flattered my name has come up. Thank you. Q. Jack, have you ever gotten into a seat of a Dallara IndyCar? JACK HARVEY: No. This test at Sonoma will be my first time. SPENCER PIGOT: No. This will be the first time for me, as well. Q. Jack, what will your impressions be of stepping up to more horsepower, greater downforce and so on? What do you anticipate? JACK HARVEY: I mean, that's a good question because anticipation is a funny thing. I've spoken to the team quite a lot. The horsepower is going to be something to anticipate. The first three or four laps will feel quite fast. It's quite a significant increase in performance from the engine, stepping up from Indy Lights into IndyCar. I think that's going to be one thing especially at Sonoma. Turn seven is pretty slow. You're going to be stepping on the pedal quite hard on the exit. That's going to probably take one or two laps to get used to. Honestly, it's just a natural steppingstone. If you went from USF2000 and jumped into an IndyCar, it would be quite a performance gain. Because I've done these steps before, I think I know what to expect after looking at some data, working with the team this week. Then there's going to be a ton of surprises, I'm sure. Plenty of things I didn't anticipate that will come up, you know, across the morning when I'm testing. I've done some good prep with the team on some things to anticipate quickly, then the other things I just have to learn as I go. That's almost the enjoyment of getting into a new car, such a performance car as the IndyCar. Q. Spencer, what have you heard and what is your level of anticipation? What are your biggest concerns? 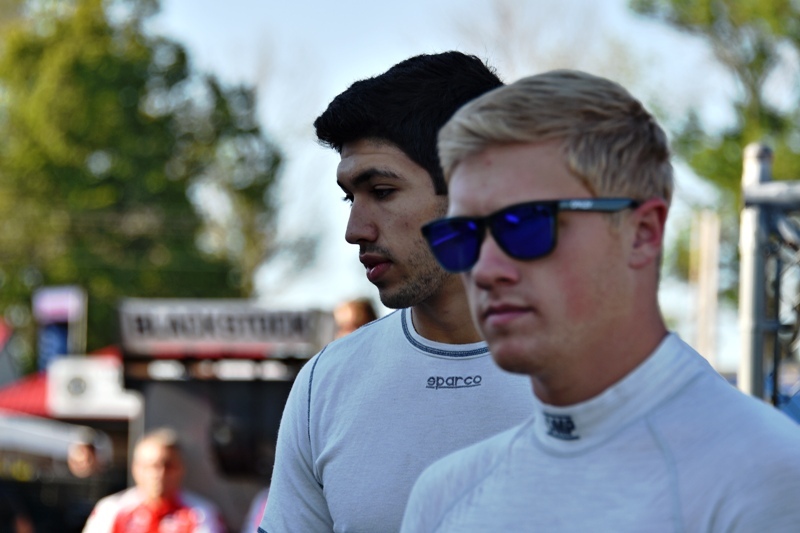 SPENCER PIGOT: Yeah, like Jack said, there's only so much preparation and things that people can tell you to expect before you just have to go out there and feel it for yourself. I mean, I've been talking to a lot with the guys at Team Penske, looking at video. The biggest thing they say is the horsepower is going to be a big difference. Also these new aero kits are creating a significant amount of downforce. The steering is very heavy. I think physically it's going to be a tougher car to drive. I've been training a lot recently to help get ready for it. Just really excited to get in an IndyCar for the first time. I've climbed up the Mazda Road to Indy, and each year the cars get bigger and faster. I think it's going to be that logical progression that we've been talking about. It's going to seem really, really quick I think for the first few laps, then similar to the first time I drove the IL-15, it seemed really fast the first five or ten laps, then you get used to it and it becomes almost the normal speed after a while. You know, just doing as much preparation as I can, but still there's going to be a lot of unknowns that I'll have to figure out the way to approach them when I get there. Q. 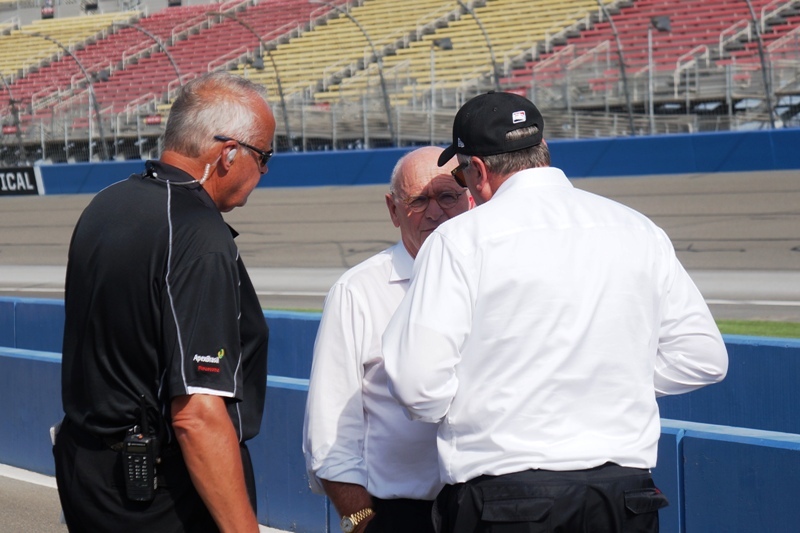 Being with Penske, there are four very high-level drivers driving for the team. Have you had a chance to talk with any of the drivers? SPENCER PIGOT: Yeah, I mean, Team Penske is an incredible team. They have some of the best people, some of the best drivers out there as well. Very fortunate to be able to learn from them in Sonoma and try and take full advantage of that opportunity. I've been able to talk to Will Power a little bit. He was at the shop when I was down there a couple weeks ago in Charlotte. He's the driver I'll be sharing the car with, as well. Yeah, I've been able to talk to him a bit. Just trying to ask lots of questions and get as much from them as I can. Q. Mid-Ohio was kind of different because there was a driver there not throughout the whole year, Sean Rayhall. How was it driving with a bit of an unknown entity? He drove a couple races before. But one who is not there for the whole season, how is that? SPENCER PIGOT: I think you have guys that you respect and you know they're going to do a very good job and be fast. I think that's the case with Sean. I've known him for a long time. We raced go-karts together when I was 11, 12 years old. I've known him for a long time. He's been doing really well in sports cars and prototypes. He's done a few races with us this year, so he wasn't really an unknown. It's good to have that competition coming in kind of unexpectedly, having him pop up a few weekends, having guys like Nelson Piquet come in, just forces you to push harder, raise the bar. There's no issues having Sean or Nelson in the championship because they haven't been there for a while. They're obviously very experienced and smart drivers. It's great when they come onboard. JACK HARVEY: I think Sean has shown how good he is as a driver in multiple series and categories. I think Spencer summed it up pretty well. For as much as he's an unknown, he's got a little bit of experience. This year he won at Indy road course, he's been fast every time he's been in the car. Without repeating what Spencer said, it's nice to get these other people coming in every now and again because you don't know what to expect. It leaves everybody up to their own game and work a little bit harder. He's a driver who deserves a test next week as much as any of us do, and also to be on the grid again next year in some capacity. Think he's a really nice guy. Got a lot of time for him. Respect him a lot as a driver. Just hoping me and him will be racing in the future together again soon. 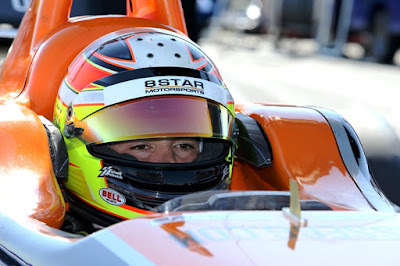 Q. Dan, right now currently we have some successful drivers from Europe in Indy Lights. What do you think in the near future? More Europeans are coming over. What is your feeling about that? DAN ANDERSEN: Well, I think we've got a pretty good program for drivers from all over the world to look at and see if it fits what their goals are. The Mazda Road to Indy is unique in the world. We've said this before, but it bears saying again. There's nothing like this clearly defined ladder with scholarships at every level, prize money on the weekends. We are in great venues. In my opinion, it's a great training ground for a Verizon IndyCar Series ride. So the drivers in Europe are taking a harder look at us because of the situation over there, the undefined ladder, what series to go to to advance your career. When you win it, there's really no prize. Some people have won major championships and not had any opportunity at the highest level. I think we're seeing a bit more interest from Europe and Asia and South America to our series. If you want to have a career in racing, this is a place where you have a very good shot at making it work. Q. Dan, obviously it's been a while since there's been any kind of testing program in place between IndyCar and Indy Lights. Walk through what it took to get this done and whether it was your idea or IndyCar's idea. DAN ANDERSEN: As a former Indy Lights team owner back I guess in 2006 through maybe 2008 or 2009, Andersen Racing had a team. We ran JR Hildebrand and Mario Romancini and several other drivers. There I was partners with Bobby Rahal in my Indy Lights team. I think Bobby tested JR Hildebrand and Andrew Prendeville. We benefited from that as a team. We used that to attract drivers that we had this testing program. Then for whatever reason it went away. When IndyCar approached me to get involved in Indy Lights on a promoter side, I brought it up and said that this is something that would be very beneficial for Indy Lights teams to have this. What we have right now and what's happening next week I think is the first step. We'd like to expand it. We'd actually like to enhance it for teams that participate in IndyCar and Indy Lights. That's my goal, to get more IndyCar teams to join the Indy Lights series and train their mechanics, train their engineers, train their drivers. 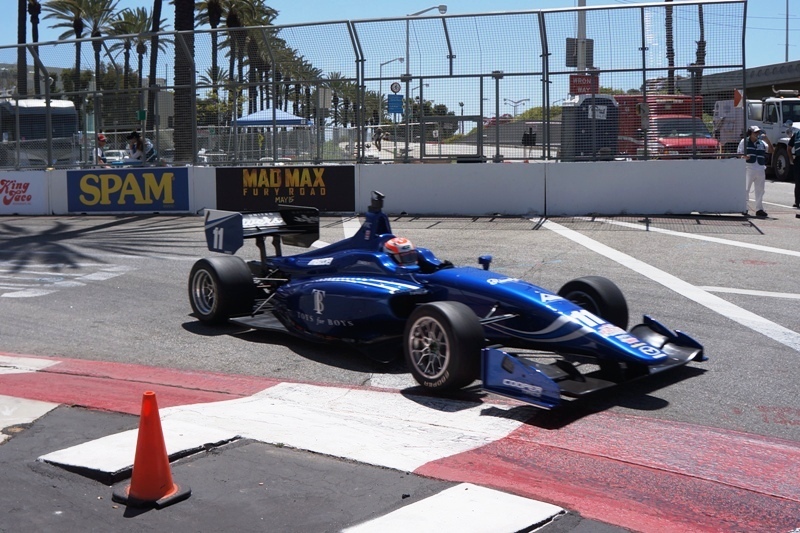 We're hoping that IndyCar can take this test program that's in place now for the benefit of Indy Lights drivers and enhance it a bit for a greater benefit for Indy Lights teams. I guess that's a long answer to your question. But, yes, it was an idea that was originally IndyCar's back in the mid 2000s and we resurrected it when we took over Indy Lights. Q. What are you planning to get out of this test next week? How long before we see you in an IndyCar? SPENCER PIGOT: I think for me, the experience of driving an IndyCar is going to be something I've always looked forward to. It's going to be an amazing experience to just feel what an IndyCar has. It's something that I'm really looking forward to. But also take advantage of learning as much as I can from the team and the drivers I'll be with there. Team Penske is obviously one of the best teams in IndyCar. Will Power and Montoya are two of the best drivers. They've got great engineers and mechanics. Just looking for what they have to say about different topics, how I can improve my driving there at the test, and things that might help me at Mazda Raceway or any time in the future. Looking forward to that. As far as when you'll see me in an IndyCar again, I'm not really sure. A lot depends on how this Indy Lights championship goes. It's going to be an interesting off-season I think. Obviously the goal would be to move up to IndyCar, but lots of things have to fall into place for that to happen. We'll see. I can't really give you a fair answer for that one. Q. Because there are still some limitations as Dan said in how much testing IndyCar teams can do, how important is it for you to have a good showing in this test to impress some of the IndyCar teams and how do you avoid putting that extra pressure on yourself that day? JACK HARVEY: I think for different reasons, testing is limited in IndyCar. I think for all of us to get an opportunity to drive one in the first place should help us along the way in trying to get another test sorted. I mean, teams, when they do get an opportunity to test, are probably not going to want to put a stone-cold rookie in the car. Hopefully this is a good opportunity for us all just to go out there, get some good testing under you're belt, do some good laps, give good feedback, try to help the team out. If you do a good job, I'm sure there will be more tests to come. Spencer said it really well in his earlier answer. Ultimately what we're all trying to achieve next week is the start of a new path for us trying to promote ourselves into IndyCar. Doing a morning at Sonoma is probably the best opportunity I've ever had to work towards being a professional driver. Without trying to put any pressure on ourselves, it's a pressure-filled sport. There's always pressure whether you're just going out there to test or going to race. You always have an objective which we're trying to achieve every time. What it could mean for the future? It could mean a lot of things for the future. It could promote you into a testing role with the team. It could help get you a race seat for teams. For all of us to go out, give a good account of ourselves, work with the team well, make it visible we are doing that, might inspire the team to come onboard and give you a test and an opportunity, too. Testing next week is going to be important. There's no two ways about that. At the end of the day there's not many people in the world that get to say they've driven an IndyCar. I think all seven guys can consider ourselves very, very lucky that however the season ends for everybody, we'll still have driven an IndyCar, which is one of the things I wanted to achieve when I set out in go-karts. It could just lead to greater things in the future. Q. Spencer, anything to add to that? SPENCER PIGOT: No. I mean, I think Jack was pretty accurate for me as well. Obviously you always want to do well and drive the car quickly. At the end of the day there's a specific role for us here at this test, and that's to help the teams out. The main goal for the teams is to test and get ready for their season finale. There's no real pressure on me to go out and try to perform and try and be the quickest all the time, do this or that. It's just simply helping them get more track time for their full-time drivers and getting an experience of driving an IndyCar for the first time, which is a dream come true. Hopefully it will lead to more opportunities in IndyCar, whichever team it may be. But there's no pressure to perform and be the quickest. Just want to go in and learn and help them out as much as I can. Q. Dan, looking ahead to the finale weekend at Mazda Raceway, how excited are you to have that standalone showcase event and how important is it for the Mazda Road to Indy for you to have that event? DAN ANDERSEN: I think it's pretty exciting. Mazda Raceway is a fantastic venue, iconic venue. The drivers are looking forward to it, the teams are looking forward to it. It's a beautiful area to host our finale. With Mazda as one of the key partners as what we're doing here, it's certainly appropriate. It's challenging on the promoter's side. In IndyCar things that come easy and naturally are a bit more challenging. We're bringing a lot more IndyCar staff to Mazda Raceway than we intended to. We want to make sure this is a championship finale and the competition is fierce and make sure we have all our I's dotted and our T's crossed. Logistically challenging for my staff but we love it. We'd like to see some IndyCar drivers do some cameos. They're have been some drivers that have expressed interest in that. There's still some car. We'd like to see some IndyCar drivers jump in an Indy Lights car and have some fun. We hope that happens. We're not saying that's going to happen, but it will be fun. Last year's finale, all three series came down to the last race. Very exciting. I expect the same thing this year. Real good contests going on at all three levels. 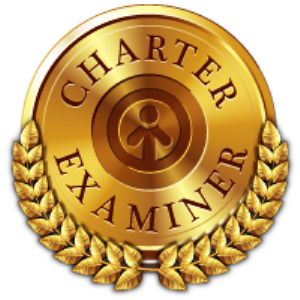 THE MODERATOR: As we have no further questions, we'll thank everybody for their time and wish the drivers best of luck next week when they test at Sonoma Raceway. The list of Verizon IndyCar Series drivers testing at the venue that will host the championship-deciding race includes six of the 10 drivers mathematically eligible for the title. The 85-lap, high-stakes race carries double points, with 100 awarded to the winner, 80 for second, 70 for third, etc., along with the regular four bonus points over three categories (Verizon P1 Award winner, leading a lap, leading the most laps). 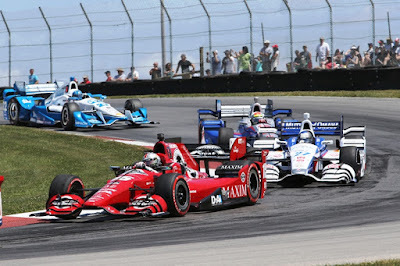 Montoya holds a nine-point advantage over Rahal entering the penultimate race of the season Aug. 23 at Pocono Raceway. Dixon, who won last August at Sonoma Raceway, is 34 points out of first place. "INDYCAR is doing a good job to promote the ladder series, and the rules that allow IndyCar drivers a test day with an IndyLights driver is an example," Rahal Letterman Lanigan Racing team manager Ricardo Nault said. "We'll be splitting the day with Ed Jones, not only per the rules, but to give him the opportunity to help us develop the car and give him some time driving. "Being second in the championship, we want to put our best foot forward and give it our best chance. We'd be behind if we didn't go there. We have to maximize every opportunity." An additional car at the test will be driven by Mikhail Aleshin, who will use the day as a refresher in the No. 77 Schmidt Peterson Motorsports Honda. It will be Aleshin's first time behind the wheel of an Indy car since he sustained a concussion, chest injuries, fractured ribs and a broken shoulder in an August 2014 practice crash at Auto Club Speedway. SPM has named Aleshin as a third team entry for Sonoma along with Briscoe and James Jakes.